« Screw Cap Vs. Cork: Let’s Settle This. Garden salad comprised mostly of darker greens, green bell pepper, baby bella mushrooms, cucumber, tomato and a heavy dusting of chickpeas. Dash of balsamic vinegar. I’m really not trying to push Charles Smith wines here, but after the fun experience with his Boom Boom Syrah, I couldn’t just pass by this little number. 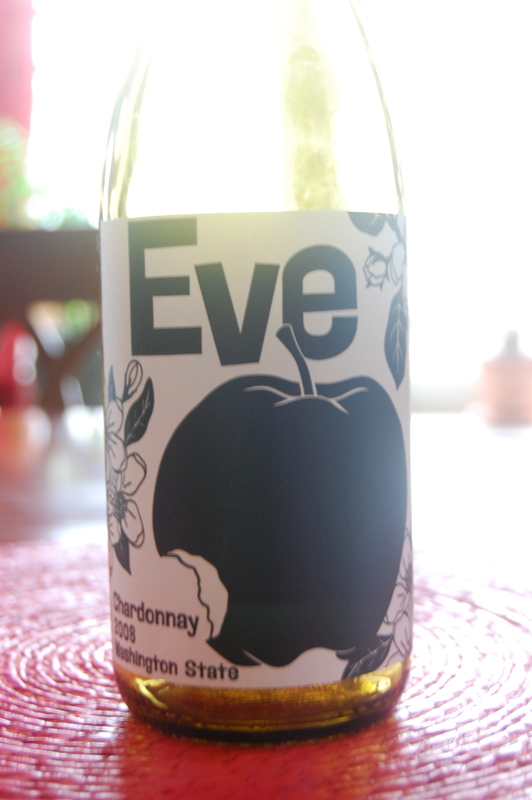 So I paired it Old Testament style with my favorite versatile and simple garden salad that clearly [sic] evokes the Garden of Eden to pick up on the apple nod from the bottle of Eve. Let me state that the best thing about this experience was that it was a cool, crisp and clean burst at the tail-end of a scorchingly hot day (103ºF in Minneapolis in June? Really?). Yes, you should pair your meals with the season and the day to some degree. I generally tend to shy away from buttery Chards (aka: those with malolactic fermentation or MLF) that have heavy oak aging. Instead, I lean toward a more crisp, Burgundy-style Chardonnay (Read: very limited buttery-ness or oaky-ness and yes, those are official words) and the wonderful people of the Washington wine scene seem to agree. Eve had just a touch of butter in there, as maturing whites from Burgundy do which really brought out the chickpeas in the salad. I tend to pile those on so highlighting my favorite part is never a bad thing. What generally prevents a salad and wine pairing from being perfect is the dressing. Vinegar tends to react poorly with wine (more pronounced with reds) due to a chemical reaction that occurs. I’ve found that in limited amounts, (dashes instead of dumps) the reaction’s output, a sort of pronounced sharpness, is so minimal that it really isn’t that noticeable. What about creamy dressings, you ask? To that I say, I’m not big on them. While, you wouldn’t get the vinegar/wine reaction, the health benefits you could be getting from your salad sharply decline when using a creamy dressing. If you really want a savory component in there, add a sprinkling of Feta, which also would have been a nice compliment to this salad.